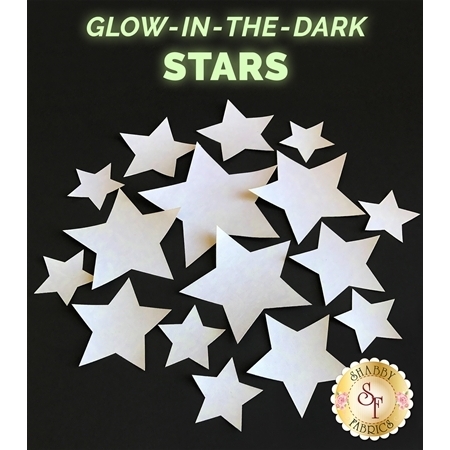 Create exciting projects with these glow-in-the-dark laser-cut stars! Each star has been pre-cut and pre-fused for quick and easy applique fun. These laser shapes are perfect for beginners and quilters of all skill levels. 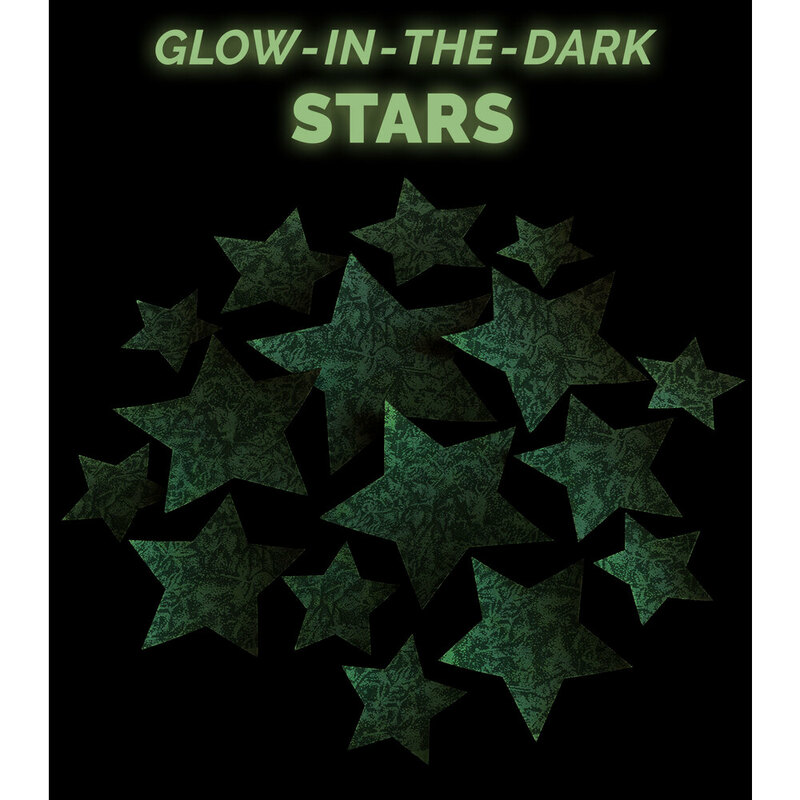 This set includes 16 different stars in a variety of sizes. Each set contains one 5" star, three 4" stars, five 3" stars, and seven 2" stars.